That last one’s a problem. 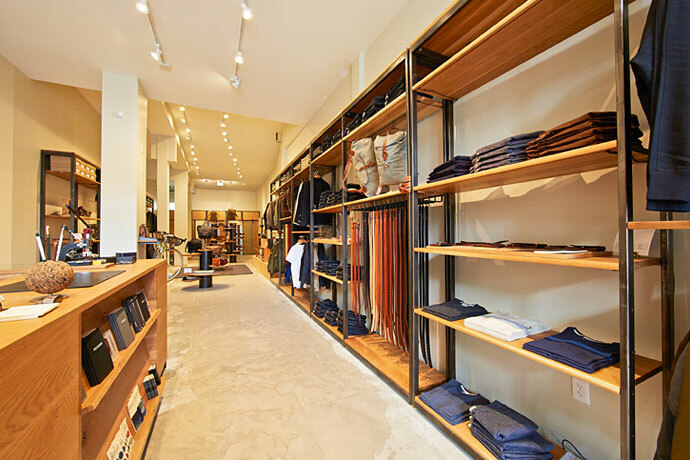 But it’s easily solved at Tanner Goods, the Portland-based purveyor of handcrafted leather everything. Their first San Francisco shop is now soft-open on Divisadero, and this is what it looks like. We’ve established that there’s leather. Lots of it. So you should get some of that. Wallets and belts and overnight bags and notebook covers and anything else that would make a great gift for people who are either you or not you. But as you step inside the modern-yet-rustic-looking space, and as you smell all that leather, and as you say, “I’ll take most of these things, please,” you’ll suddenly realize that that also involves magnificent miscellany like Norse Projects alpaca beanies, Rogue Territory jackets and The Hill-Side ties. Then you’ll just sort of walk around and applaud yourself for being better at walking around shops than everyone else. Maybe do that internally, though.